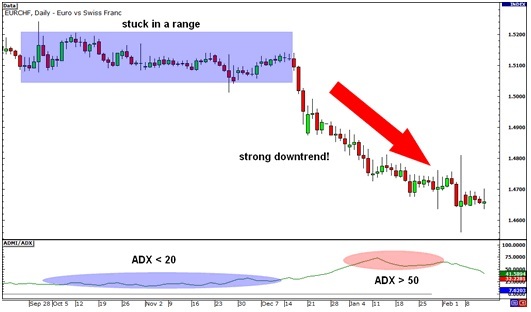 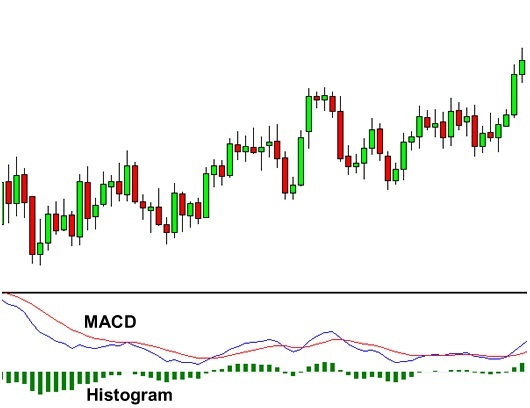 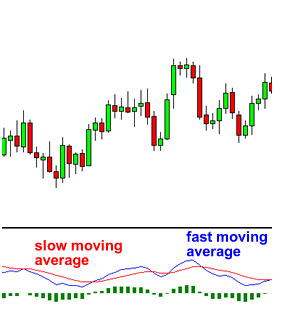 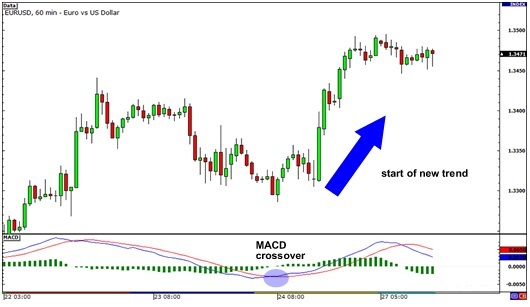 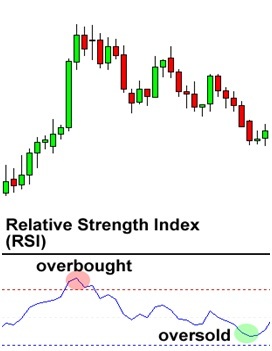 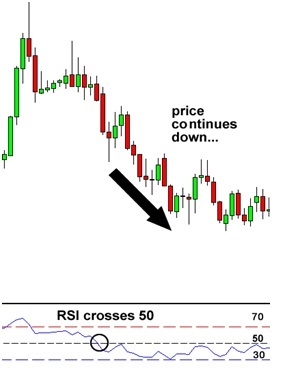 Relative Strength Index, or RSI, is similar to the stochastic in that it identifies overbought and oversold conditions in the market. 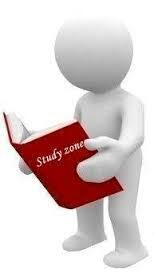 It is also scaled from 0 to 100. 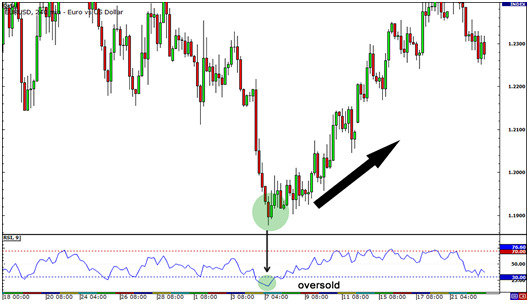 Typically, readings below 30 indicate oversold, while readings over 70 indicate overbought.